Home / News / Pete Bissell wins Winemaker of the Year Award! Pete Bissell wins Winemaker of the Year Award! The Cabernet Sauvignon was flowing as our winemaker Pete Bissell celebrated being named Winemaker of the Year by the prestigious Australian Society of Viticulture and Oenology (ASVO). 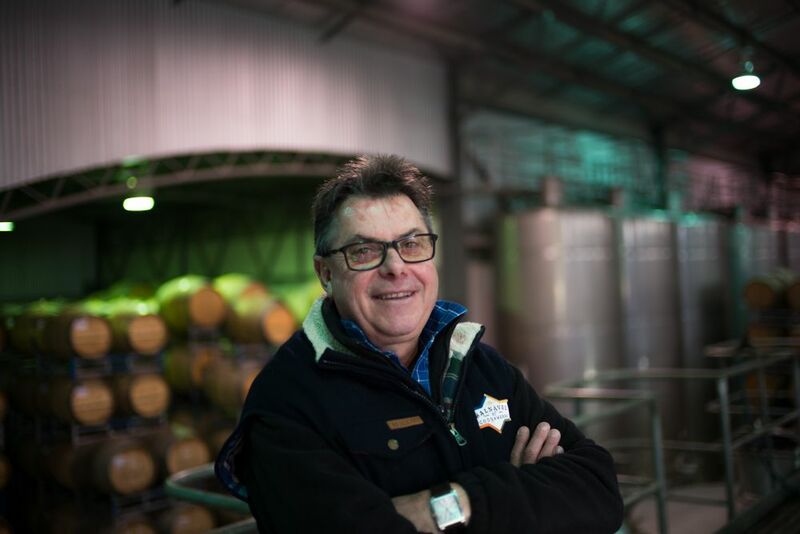 Pete was described by the ASVO as a “quiet achiever who has been a champion of the wine industry and of Coonawarra for many years”. “Pete has been a keen innovator both in the winery and the vineyard and is eager to share his knowledge,” Wendy Cameron, Chair of the ASVO award selection committee said. Our business Manager Kirsty Balnaves was also named as a finalist in the Australian Women in Wine Owner-Operator of the Year Awards this week. The award recognises “the ladies who run the show”– wine business owners or operators who have made an outstanding contribution to their business in the Australian wine industry. Kirsty, who joined the family company in 1990, oversees the financial aspects of vineyard management and contracting, winery contracting and making and selling Balnaves of Coonawarra wines. She’s a current member of the South Australian Wine Industry Association Executive Committee, has been a member of the Coonawarra Vigneron’s Association Executive for 15 years and is actively involved in the Coonawarra community. “It’s a very full life,” Kirsty said. “I also run our home property with partner Will and our two daughters, I have a reviving horse riding interest and am training for the next Tough Mudder running event. The wins have capped off a bitter-sweet year,” Kirsty said. “My mother Annette who was a Director of the business and a tireless worker for the Coonawarra region passed away in July. “It’s sad she’s not here to raise a glass with us, but I know she would be very proud.